We mean those posts about giveaways, privacy notices, contests, and more. Are they legit? Some are and some aren’t, so the trick is to know the difference. 1. 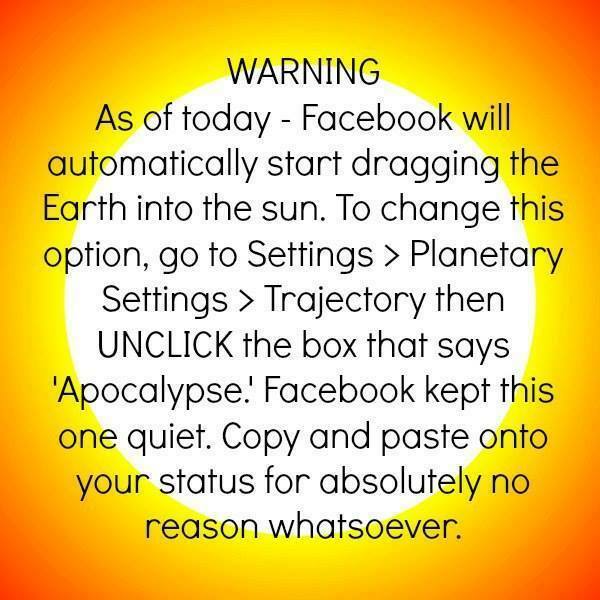 Facebook Privacy Notice. You’ve probably seen this one because it’s gone viral more than a few times. 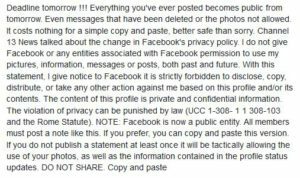 The message on Facebook says you have to publish a “privacy statement” in your status. If you don’t? 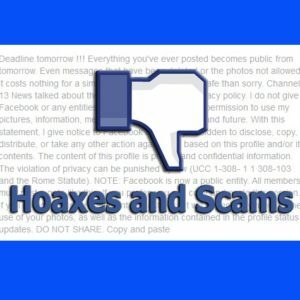 The hoax says Facebook will own all of your messages, or make them all public, and/or has permission to use your personal information in whatever means they see fit. This is totally not real, but at least it’s harmless—all you’re doing is posting something that might annoy your friends for a moment, but don’t waste your time. Let’s stop reposting this one so it finally, at long last, goes the way of the Dodo. 2. Paying for privacy. No, no, no—you won’t have to pay to keep your Facebook messages private if you don’t repost a message. A variation of this hoax simply says Facebook will soon start charging to use the site. There is no soon-to-be enacted fee, they’re both just a load of hooey. Ignore and move on with your life. 3. Obscene comments that look like they’re from you. This warning claims a new hack will somehow insert offensive/shocking words or photos into comment threads that look like they’re from you. People repost a message to let their followers know that if it does happen, it wasn’t intentional. I’m convinced this hoax was started by someone who accidentally posted something rude and decided to cover it up by claiming they were hacked. Please don’t believe it—it’s not true. 4. Swearing on Facebook. Go ahead and drop that f-bomb because Facebook is not launching a “no swearing” rule. The hoax claims that if you keep using profanity you’ll be banned immediately and your account will be shut down. Now, Facebook does have Community Standards you have to follow, but yes, you can probably swear. Be part of the solution—stop reposting these (or any of these others too). However, you should keep an eye out for these real Facebook scams. 1. Free gift cards. Those posts promising free gift cards (especially as we approach the holidays) from our favorite store(s) are really tempting but don’t click (really, don’t!). 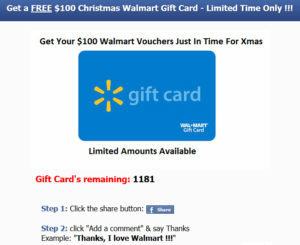 These “offers” say you need to act now to claim your gift card, but the only winner is the scam artist. 2. Apps for changing your Facebook theme or adding “dislike” buttons. There is no way to change the color, look, feel, or add buttons to the Facebook interface. Period. Any post that tells you differently is hoping you’ll click the link and download malware on your computer instead. 3. Too-good-to-be-true offers. Whatever you do, don’t copy and paste links to amazing offers into your browser—if they seem too great to be real, they probably are. If you do, your computer could be infected with malware which lets a scammer take control over a variety of things on your computer, including your Facebook account, email, and more. 4. Polls or questionnaires. We’ve talked about this before—just don’t do them—but especially don’t if they ask your for any information about yourself (even a cell phone number). Scammers really hope you’ll be suckered in for a little fun while they gain information about you or your friends they can use to steal anything of value (including more information they can then sell). This doesn’t have anything to do with FB I was just using the internet and all of at once a loud horn sound started and there was the flashing saying this is TDS your internet carrier. Your computer has been breached. Call this number and we will take care of it. Yes, call me stupid, I fell for it. Had to change my whole banking system. Still can’t do banking or receive my statements on line. Now I have to take my computer to have it checked and certified that it is clean. I had it cleaned once but that won’t do. What a mess. Eva, I’m sorry you got hit by “scareware“—it happens to the best of us (including employees here at TDS)! Thanks for the reminder to everyone not to fall for this type of real-looking scam.